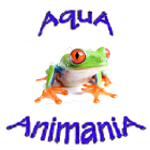 AquA AnimaniA is your #1 local source for amphibian and reptile, food, supplies, accessories, products and related equipment! We also carry food, treats, supplies for fish, dogs, cats, birds and a wide variety of other small animals, exotic pets and critters. If you are looking for a new pet, AquA AnimaniA also has a wide variety of birds, aquarium fish, pond fish, small animals, in addition to other pets and critters in stock or available by special order. We can also locate other pets from our vast network of national and international partners and suppliers.